Kosher salt is obtained by the same means used to get regular table salt. In other words, it may be harvested from the sea or it may be mined. The difference lies in processing as kosher salt is processed in such a way that the crystals are large and irregular. Any kind of salt can be called “kosher” if it is produced under the supervision of a rabbi, but not all of what is called kosher salt is produced in this way. The origin of the term “kosher salt” lies in the early 20th century when a wave of Jewish people emigrated to the United States. This wave of immigration coincided with the start of the packaged goods era. Up until World War I, consumers had purchased goods by the pound out of large containers. After World War I, packaged goods became more common at the same time that companies started marketing to the recently arrived Jewish immigrants. Morton Salt was one of these companies. Morton Salt sold its large-grained koshering salt in boxes marked “kosher salt.” As a result, the product became known in the marketplace as kosher salt and continues to be called that to this day. Ordinary table salt contains iodine and other additives while kosher salt does not. 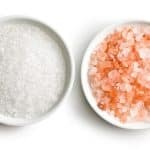 Many chefs believe that those additives can impart an unpleasant taste to some dishes and opt to use kosher salt instead. 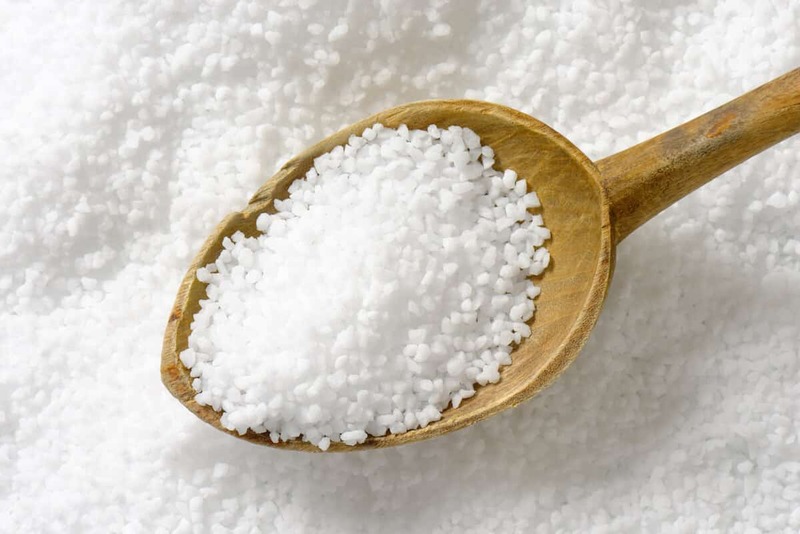 The flavor of kosher salt is said to be lighter and milder. Another difference in the how the two types of salt are detected is due to the size of the crystals. 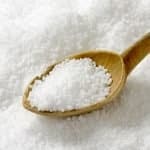 In baked goods, the tendency of kosher salt to not dissolve immediately is more of a drawback and so it is not as desirable for breads and other items that require salt to dissolve quickly and evenly. The larger crystal size of kosher salt makes it easier to pinch and sprinkle. Along with that, there is the fact that it has a cleaner and milder taste. 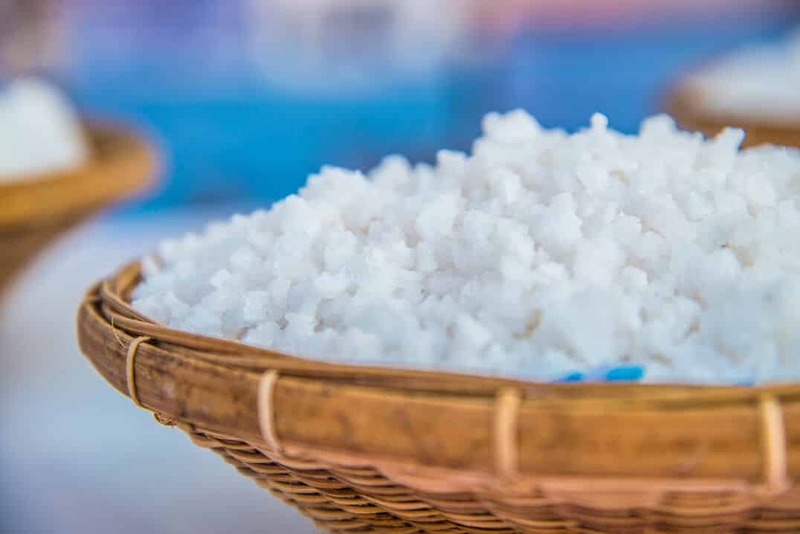 Another benefit has to do with how the salt is detected in food. Table salt comes in fine crystals so it may not be as easy to sprinkle evenly. Because of the crystal size, the salt may collect in pockets and make some bites of food taste overly salted. Kosher salt is highly visible once applied to food. This means that you can see how much you have applied and use more if necessary. The result is that there are no more salty pockets. In addition, kosher salt can give some foods a mild crunch when sprinkled on the surface. Kosher salt is ideal for curing meats due to its larger surface area that makes it better at drawing out moisture from meat. Because of its purer salt flavor, it is also good for making pickling brines. One final way to use it: the large crystals make kosher salt great for coating the rims of margarita glasses. What's A Good Kosher Salt Substitute? What's A Good Rock Salt Substitute? Spices liven up our favorite foods, but what do you really know about them? What's their flavor profile, the regional cuisines they influence, or their origin stories? SPICEography seasons your knowledge so that you can better appreciate and use these common kitchen flavors.